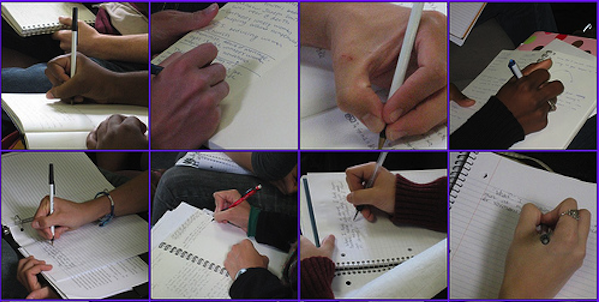 Students spend a lot of time writing. Most everyone vividly remembers writing essays for school, and, for many, those memories are not necessarily pleasant. Talk of writing in the classroom often dredges up images of empty pages yawning to be filled, writer’s block, and a general uneasiness with the idea of writing in general. The papers we wrote were typically read only by our teachers, and maybe our classmates, after which they disappeared never to be seen again. In Literacy in American Lives, Deborah Brandt explains the origin for some of these uneasy feelings, noting that in her interviews with American families she found that parents tended to encourage their children to read, associating reading with social mobility and learning, while at the same time the act of writing was discouraged and generally associated with shame and fear. Very few of her subjects, many of whom wrote in private, were willing to identify themselves as writers or were comfortable talking about their writing with their families and friends. Brandt’s research was limited to American subjects, but she connects this legacy of shame about writing to a history of cultural control, in which governments and churches sought to actively suppress writing instruction, along with the dissent and rebellion that often accompanied public authorship. Despite our dislike for writing in the classroom and the complicated history of writing, people are writing now more than ever. Of course, inequalities remain in the distribution of digital technologies, but in places where those technologies – like the Internet and mobile computing – have taken hold, they have transformed the way people write. While there has always been incidental, private writing, ranging from note-taking to personal diaries, this type of writing has for many people moved online, where in many cases it is published live for anyone with Internet access to see. This chart in Seed magazine illustrates how digital media have made more and more of us take on the role of public authors; that is, writers whose work is routinely placed before the public. Of course most of us write for only a small audience of our families and acquaintances, but nevertheless this change cannot help but alter our ideas of what writing can be and what constitutes authorship. The upshot of this is simple. As the article suggests, we are nearing an age of nearly universal authorship. The question that remains is how educators and educational systems – the creators of those hated classroom essays – can adapt to this change. 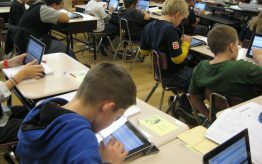 Currently, researchers are exploring how students’ out-of-classroom writing, such as with fanfictions, can be used to help them learn. However, educators need to also address the continuing role of shame that is part of our discussions of young persons’ writing. 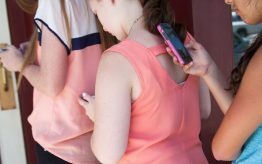 For example, we routinely warn students about the negative consequences of capturing their youthful indiscretions in social media, yet rarely are these (wholly appropriate) warnings accompanied by positive examples of the ways that students can use new media as authors for creative expression. As with those in Brandt’s study, we are once again enforcing the idea that the expression of students’ questions and ideas, thoughts and feelings in public forums is a shameful act to be avoided, rather than a benefit, not just to them, but to others. In short, we need to prepare our students for an age of universal authorship; that is, teaching them to be effective authors, not in the traditional educational sense, where they are writing for a small in-group of peers, but in the broad, public sense, where they are daily interacting with the world.